On this site you can only see the Croatia property first row to the sea. Properties on the Dalmatian coast are located on the best locations, right next to the sea. Properties in towns are on the waterfront. 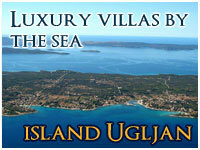 Properties on the Dalmatian islands located in the beautiful bay next to the sea. Welcome to Croatiaproperty.org, the internet's premier site for advertising all types of waterfront properties that are for sale on Croatia islands and coast. From waterfront homes, to seafront condos and estates, to undeveloped land - it's all here! Croatia property is a Croatia Licensed Croatia property agency, created and operating since 1992, marketing properties for sale in Croatia. We focus mainly on traditional Croatia houses, either old stone houses for renovation, restored stone houses, or new traditional homes. In addition, we handle some villas in Croatia with traditional style, apartments and plots of land, all first row to the sea. We handle properties for sale in the area of the Dalmatia (coastal Dubrovnik, Makarska, Split, Sibenik, Primosten, Zadar,) as well as in some of the Croatia islands in the Dalmatia (Brac, Hvar, Korcula, Dugi otok, Solta, Vis, Lastovo, Mljet…). We guide the buyer throughout the buying procedure of a dream home in Croatia. We provide to our buyers references of professional and independent to our office, attorney offices to assist during and until the completion of the legal procedure. Moreover we supply on request reference information on reliable architect/engineers or builders, insurance companies, who will assist further during and after the purchase procedure of a dream house in Croatia. 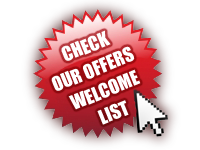 If you are looking for property we have selected for you the most exclusive properties for sale all over Croatia. Whether you prefer a beautifully landscaped seafront villa with pontoon and swimming pool or a modern newly built property in water-sports private resort, we certainly have what you are looking for. 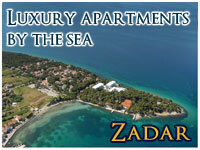 Our luxury property listing of exclusive properties in Croatia includes only waterfront properties for sale. Our deep knowledge of the real estate markets in Croatia especially among the luxury real estate segment enable us to provide a set of first class services including legal and taxes advises. • December 5, 2008, the Law on Changes and Amendments of the Law of Property and other property / proprietary rights, which, removal of the existing law the special situation (on the basis of reciprocity and consent of the Minister of Justice) to acquire ownership of real estate in the Republic of Croatia ( Article 60 / 2 SPA), equated the rights of citizens and legal entities of EU member states to the rights of Croatian citizens. Based on this, the entry into force of amendments and additions to the Act of February 1, 2009, citizens of EU member states acquire ownership of the property in the Republic of Croatia to the same conditions as Croatian citizens. • With regard to persons who are not citizens of EU member states, but are planning to purchase real estate in the PX, the existence of conditions of reciprocity and consent of the Minister remains the position, which should be executed to ensure that person had the opportunity to buy property on the basis of retsiprotsiteta. BROKER, Your real estate agency team.